Several women tried to enter the Sabarimala temple in southern Kerala following the Supreme Court order allowing entry for all women to the temple. None have been successful in having a ‘darsan’ of the deity, as all had to return following harsh protests by the Sangh teams. And at least some women still face the consequences of having made the attempt. Bindu Thankam Kalyani attempted to enter the shrine on October 22, but couldn’t. And there changed her life totally, with fresh attacks every day in whichever way possible. Bindu, who was working as a teacher of English at the Government Higher Secondary School in the Government Medical College campus in Kozhikode, was prevented from entering the school and evicted from her rented house in Kozhikode, according to reports. She was then transferred to a school at Agali near Attappady in Palakkad district on October 29, where also protests came up. She was received by ‘Ayyappa sharanam’ slogans and abuses outside the gates of the school, which she had to enter with police protection. She had to face protest by her own students even inside the classroom, however the school and principal stood by her right to use the SC order. On November 12, some protestors in Attappady organized a ‘namajapa yatra’ (procession chanting Ayyappa slogans organised in different parts of Kerala protesting against women’s entry to the Sabarimala temple) from a local Ayyappa temple to Bindu’s school. They tried to include students from the school also in the protest but the attempt was prevented by the police who locked down the school gates and the principal warned that he would not let any student protestor to attend exams. The attackers then marched to her house at night, hurled stones from the gate and threatened her. In addition to all this, she also faced harsh cyber attacks against which she has reportedly filed a police complaint. While speaking to TwoCircles.net, Bindu said that she has been eagerly waiting for the court verdict to go to the temple in a healthy young age. “I am a believer not of the recent types of worships in the temple, but of the tribal beliefs that have been in practice in Sabarimala for a long time,” she clarified. She said that they had been attacked as they talked out loud about the politics and history of Sabarimala, which is predominantly tribal and matriarchal. “Even the name ‘Sabarimala’ came from the name of the tribal woman ‘Sabari’ who ruled the hill. Now these people are saying women should not enter there, after stopping the matriarchal power structure in practice there and ousting that community altogether. They have in a way stolen our things to seize our customs, to force servitude on us. The temples on hilltops were actually of the tribals or the lower castes. Others began to take them over after money began to flow in. They have the most difficulty when we question that,” she added. The tribal community of Malayaraya has now come out in the open claiming their right to the temple. The community had controlled the temple following its own customs such as the 41-day fasting, commemorating the fast that the parents of Manikandan (the deity) observed to conceive the child. The names of important priests have been inscribed on the 18 steps leading to the main sanctum, and the first three among them are said to be those of the chiefs from the Malayaraya community. Bindu also said that the original idol is still with the Malayaraya community, the one in the temple now was installed later by the priests. Another Dalit rights activist S.P. Manju who tried to enter the Sabarimala temple last month but couldn’t is now facing fresh threats from the Sangh for her upcoming second attempt. 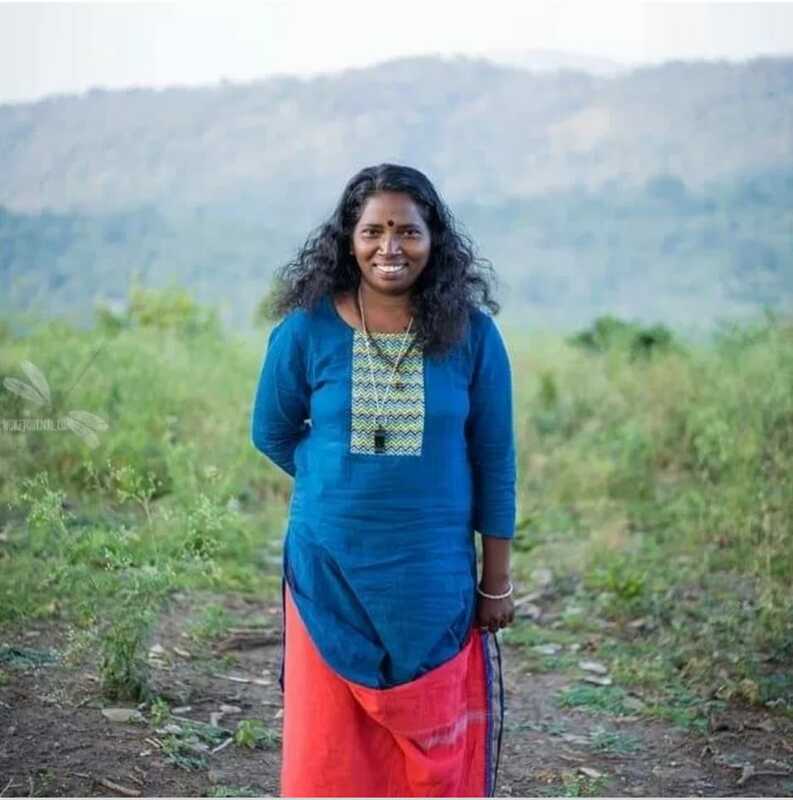 Soon after she reached home after filing the online application to enter the temple, the Sangh team came to her house and threatened that ‘she would be killed if she went.’ Manju had her house vandalized after her first attempt to enter the temple. Even the doors and windows of her house were broken and all home equipments destroyed. A television set and a gas cylinder used for cooking were missing. And her pet dog was killed. She has received some police protection since returning from the hilltop shrine. However, while talking to the TwoCircles.net, Manju expressed her concern that ‘this prevention of women from the temple might lead to the denial of entry for the lower castes as before’. 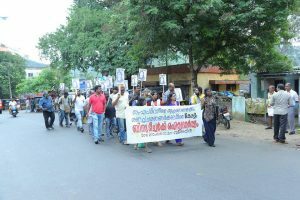 “All the women who went to Sabarimala have been tortured in one way or the other, but even in that matter, more caste-based pain is inflicted upon Manju and Bindu”, opined Dalit activist Mrudula Devi Sasidharan while talking to TwoCircles.net. Other women below 50 years of age who tried to enter the temple – Rehana Fathima from Ernakulam, activist Liby from Thrissur and Mary Sweetie from Thiruvananthapuram – also faced protests and are under police protection. On November 11, a group of women activists organised a programme in Ernakulam in which several well-known activists and feminists attended, and upheld their support to the Supreme Court order. However, even in feminist circles, Dalit women seem to have a hard time finding full solidarity. Bindu herself stated that the programme did not give the expected space and coverage to Dalit women. However, organisers denied these charges. “The people from the Sangh said they would burn me. I am from the Dalit community. Hundreds and thousands in my community have been burnt in independent India. None of them (were killed) for voicing their opinion. Even a three-year-old child has been burnt in my community; what opinion did she voice? Since it is sure that one would be burnt for having been born a Dalit, I decide to get burnt only after strongly voicing what I have to say,” said Dalit rights activist Sunny M Kapicaud while speaking at a programme organised in support of Bindu on November 22 at Agali. Socio-cultural and human rights activists such as Dr. P. Geetha and Sainaba and others spoke at this programme organised with the involvement of local people. The programme also expressed solidarity with others facing protests and threats from the Sangh forces for their support to the Supreme Court order. Meanwhile, the Pathanamthitta district Collector clamped prohibitory orders in Sabarimala during the ‘Mandala-Makaravilakku’ season from November 16 to 22. The Hindu Aikya Vedi leader Sasikala was arrested at Sabarimala for violating the prohibitory orders and then released, and a hartal called by the organisation was observed in Kerala on November 17, 2018. The BJP state general secretary K. Surendran was also arrested on November 17 for the same reason and he is still in prison. There is strong police presence in Sabarimala and nearby places currently.